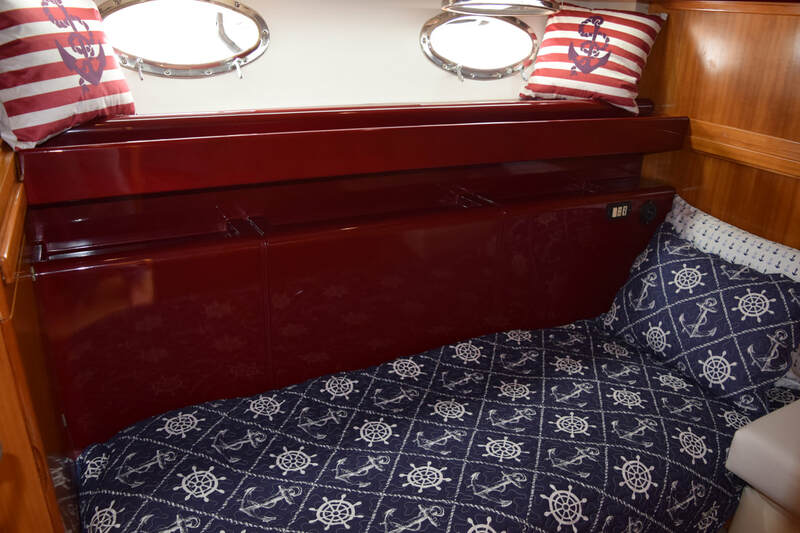 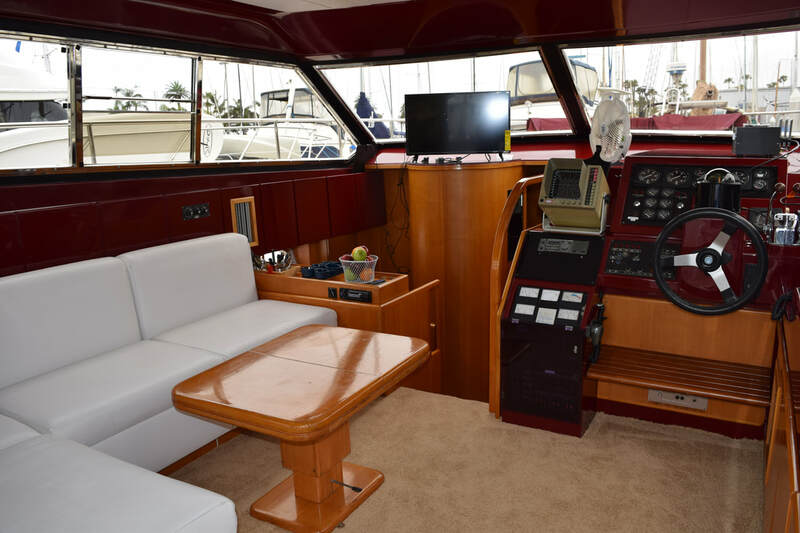 FIRST CLASS" is a beautiful 38' Technema built in Italy was designed with passion and craftsmanship. 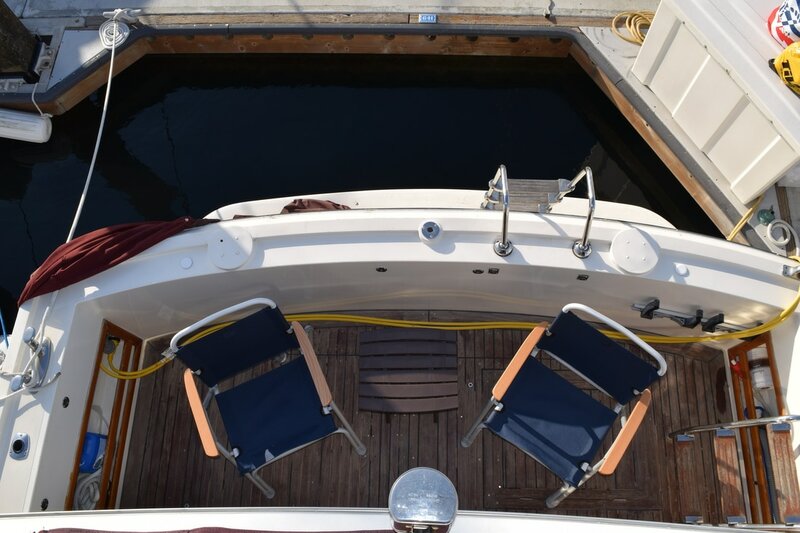 Her beautiful stainless port holes and elegant wood throughout define the quality of the Italian marine architects. 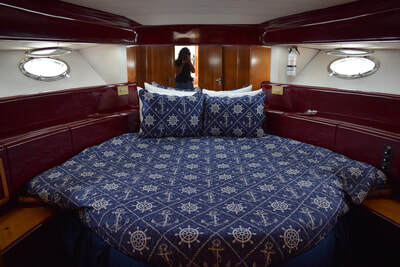 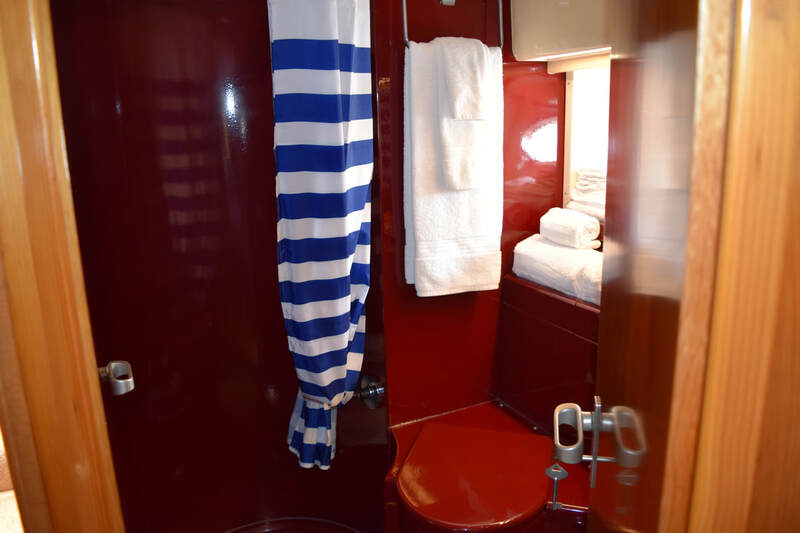 She offers 2 staterooms - 1 Queen stateroom forward and 1 stateroom with two twin bunk beds starboard. 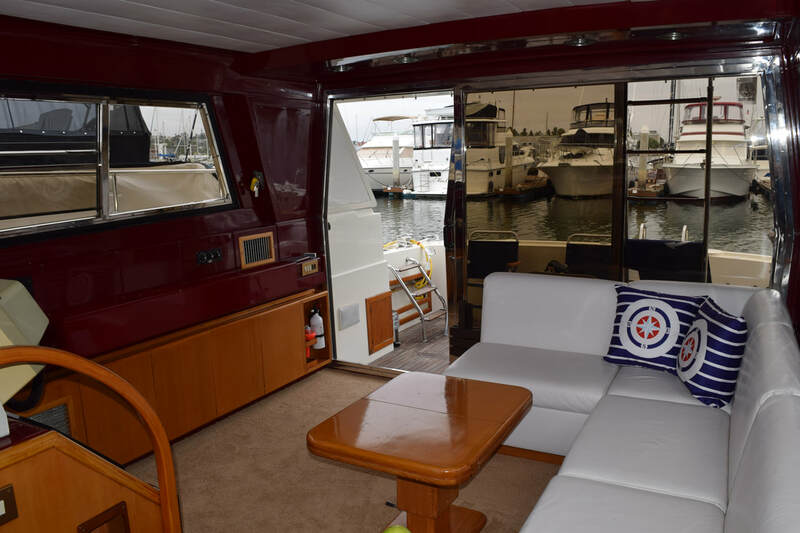 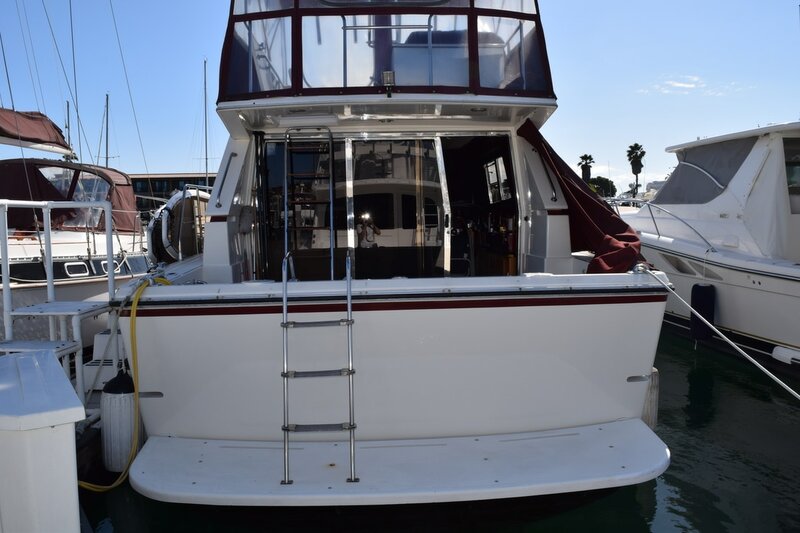 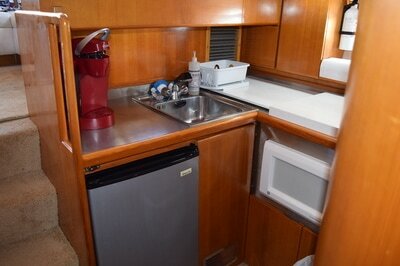 The spacious head has plenty of counter storage nooks and a full shower with teak floor. The salon area has an L - shaped couch that seats 4 very comfortably. Relax on the spacious aft deck area for cocktails, or lounge on the forward deck in the sun. 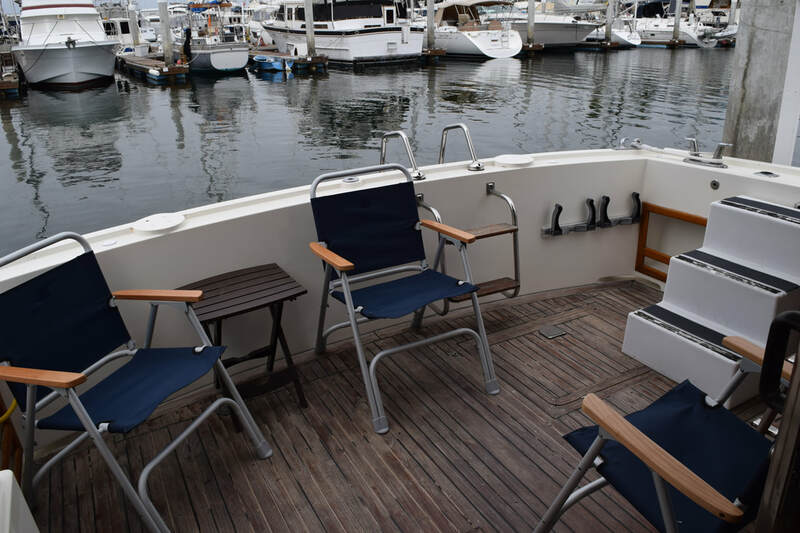 For a change of view make your way up the ladder to the upper helm and enjoy a spectacular sunset. 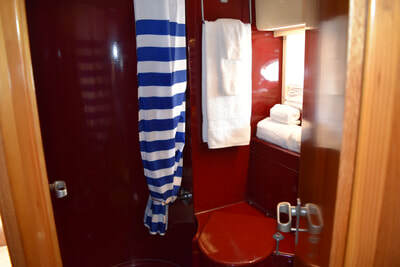 All linen and towels are provided during your stay. 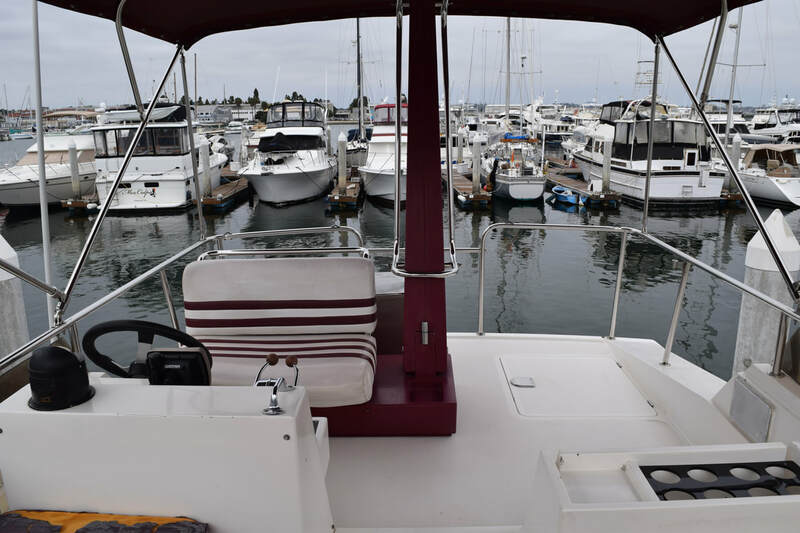 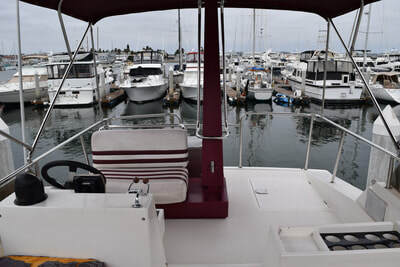 The onsite marina facility has a fitness center, laundry facilities, internet available and shore-side restroom and shower facilities. We provide a continental style breakfast for your stay which includes coffee, tea, yogurt, oatmeal and a variety of fresh fruit.